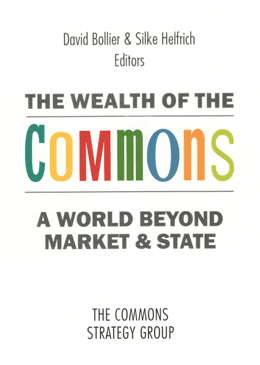 The first transformations of common into private property took place in early modern times (1500–1800). This was the same epoch when our self-understanding increasingly was dominated by the dualist view of the French thinker René Descartes. Mind was no longer intimately entangled with body but rather a rational principle that stood above matter. Organisms, the whole diversity of nature, but also man’s own body, were conceived of as automata made of subjectless and deterministic matter. This conviction is the refusal of any form of connectedness. The British philosopher Thomas Hobbes expanded on that idea and claimed an absolute separation of society and politics from nature. Nature is seen as the dominion of blind causes and effects and hence is no longer available as a point of reference for human self-understanding – in much the same way as the forest that the nobility had once shared with the peasants became exclusive property and was no longer accessible. The idea that the inhuman forces of opimization and selection dominate the realm of “pure things,” and hence also ourselves, closely parallels that historical exclusion. Both follow a basic model of estrangement and fencing off of living abundance. It is most noteworthy that the human sphere, which in this manner has been purified from nature, does not gain more freedom. Rather, society is also understood as a battle of brute and cruel forces – forces which have lost any connection with creative and lawful powers of existing-within-nature and embodied subjectivity. Hobbes’ model of society, which remains influential in our time, shuns all connection with natural objects yet nonetheless becomes the embodiment of a world driven by brute force. It is built upon the idea of the “Leviathan,” the war of all against all as a “natural” state.